American composer Richard Rodgers (b. Queens, New York City, June 28, 1902; d. New York City, December 30, 1979), a pioneer along with Oscar Hammerstein II and Jerome Kern in the establishment of the “book musical” and the king of its Golden Age on Broadway, wrote, over his six-decade career, scores for forty-two musical shows and over 1,500 songs. At least eighty-five of these are accepted as standards in the “Great American Songbook.” His partnerships with lyricists Lorenz Hart and Hammerstein are legendary. 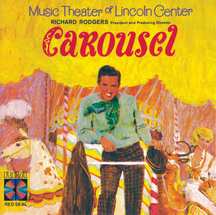 Rodgers is one of only two persons (the other is Marvin Hamlisch) to have won awards from the five leading institutions in his field: the Grammy®, Emmy®, Tony® (a total of thirteen), Oscar® (“It Might As Well Be Spring” from State Fair 1946), and Pulitzer Prize. Richard Charles Rodgers, son of a prominent Queens physician who had Americanized the family name from Rojazinsky, took to playing the piano at the age of six. From his earliest years he accompanied his parents to operettas and revues on Broadway. He attended public schools in Queens and DeWitt Clinton High School (then in Manhattan) before entering Columbia University, where he met and first collaborated with Lorenz Hart. One of their songs made it into a Broadway revue before Rodgers turned eighteen. In 1921 Rodgers transferred from Columbia to the Institute of Musical Art (which later became Juilliard) – not much of a shift, since it was right across the street at the time. Rodgers and Hart wrote an average of two shows a year, struggling against disappointment until they had a signal success on Broadway in 1925, The Garrick Gaieties (“Manhattan”). For the rest of the decade they enjoyed several hits both in New York and London: Dearest Enemy (1925), The Girl Friend (1926), Peggy-Ann (1926), A Connecticut Yankee (1927), and Present Arms (1928). Among the “standards” featured in these shows were “Here In My Arms,” “Mountain Greenery,” “Blue Room,” “Thou Swell,” and “My Heart Stood Still.” When the worst part of the Depression hit, Rodgers and Hart went to Hollywood to seek greener pastures. Between 1931 and 1935 they wrote music and lyrics for Love Me Tonight (1932) starring Maurice Chevalier (“Lover”, “Isn’t It Romantic?”), The Phantom President (1932) starring George M. Cohan, Hallelujah, I’m a Bum (or, as the British were constrained to call it, Hallelujah, I’m a Tramp, 1933) starring Al Jolson, and Mississippi (1935) starring Bing Crosby and W.C. Fields. Although successful, this output was meager compared to what they were accustomed to, and they returned to Broadway. (Another notable product of this period was the immortal hit “Blue Moon,” which survived only after Hart wrote four different lyrics to the tune – the first three were tossed out by the movie studios.) The next eight years were the heyday of Rodgers and Hart. Among their most popular shows were the circus extravaganza Jumbo (1935) (“The Most Beautiful Girl in the World,” “My Romance”), On Your Toes (1936) (“There’s a Small Hotel,” the ballet “Slaughter on Tenth Avenue”), Babes In Arms (1937) (“My Funny Valentine,” “Where or When,” “Johnny One-Note,” “The Lady Is a Tramp”), I Married an Angel (1938) (“Spring Is Here”), The Boys From Syracuse (1938) (“Falling in Love with Love,” “This Can’t Be Love,” “Sing for Your Supper”), Pal Joey (1940) (“I Could Write a Book,” “Bewitched, Bothered, and Bewildered”), and their last collaboration, By Jupiter (1942). Lorenz Hart’s alcoholism and personal demons had made it increasingly difficult for him to work, and many of the partnership’s later lyrics were supplemented or even written entirely by Rodgers. Ultimately, Hart died in 1943 – or he might have been the lyricist for Oklahoma! – of pneumonia, developed due to exposure, due in turn to his alcoholism. 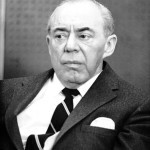 Out of necessity Rodgers had enlisted the aid of lyricist and bookwriter Oscar Hammerstein II – another Columbia University graduate – whose influence in musical theatre had already been as great, if not greater, than Rodgers’s own. Hammerstein had been the author and lyricist of the first successful “book musical,” Show Boat, in 1927. With music by Jerome Kern, it was based on the popular Edna Ferber novel, and set a trend toward integration of music with storyline during the ’30s. In shows like the Gershwins’ Of Thee I Sing (1931), Cole Porter’s Anything Goes (1935), Rodgers and Hart’s The Boys from Syracuse (1938), and Kurt Weill and Maxwell Anderson’s Knickerbocker Holiday (1938), all the songs and dances arose from the plot and its characters, while the spectacle and dazzle of the old Broadway revue gradually diminished. Rodgers and Hammerstein’s first collaboration, Oklahoma! (1943) is regarded as the pinnacle of this trend. It ran for five years. It also marked the start of the most successful partnership in the history of American musical theatre. 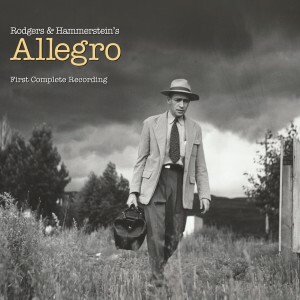 Hammerstein’s lyrics were noticeably different in character from those of the clever, urbane Hart – straightforward, often wistful or sentimental, even spiritual – and with Rodgers’s music matched to them, they elicited tremendous emotional response. Of the nine Rodgers and Hammerstein musicals – Oklahoma! 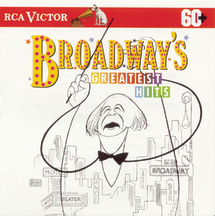 (“Oh, What a Beautiful Mornin’,” “Surrey with the Fringe on Top,” “I Can’t Say No,” “People Will Say We’re in Love,” “Poor Jud Is Dead”), Carousel (1945) (“When I Marry Mr. Snow,” “If I Loved You,” “What’s the Use of Wond’rin’,” “You’ll Never Walk Alone”), Allegro (1947), South Pacific (1949, winner of thirteen Tony Awards® and a Pulitzer Prize for Drama) (“Some Enchanted Evening,” “There is Nothin’ Like a Dame,” “Bali Ha’i,” “Younger Than Springtime”), The King and I (1951) (“Hello, Young Lovers,” “Getting to Know You,” “Something Wonderful,” “Shall We Dance?”), Me and Juliet (1953) (“No Other Love”), Pipe Dream (1955), Flower Drum Song (1958) (“A Hundred Million Miracles”), and The Sound of Music (1959, five Tony Awards®) (“My Favorite Things,” “Climb Ev’ry Mountain,” “Edelweiss,” “Do-Re-Mi”) – six were made into Hollywood features. 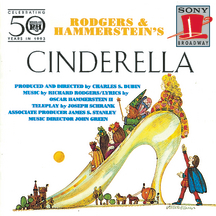 The pair also wrote songs for the film State Fair (1945), and a special television musical of Cinderella (1957). 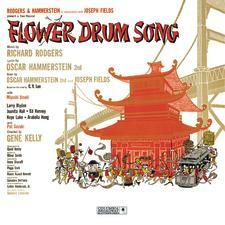 After Hammerstein’s death in 1960, Rodgers continued to write songs for the Broadway stage. 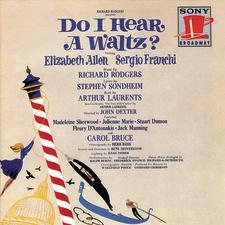 He wrote his own lyrics to No Strings (1962), which won him two Tony Awards®, but tried out other lyricists for his subsequent projects: Stephen Sondheim for Do I Hear a Waltz? (1965), Martin Charnin for Two By Two (1970), Sheldon Harnick for Rex (1976), Martin Charnin and Raymond Jessel for his last work, I Remember Mama (1979). A purely orchestral score Richard Rodgers composed for the television documentary Victory at Sea (1952–53) remains in the concert repertoire; the music for another documentary, Winston Churchill: The Valiant Years (1960), won Rodgers his Emmy Award®. 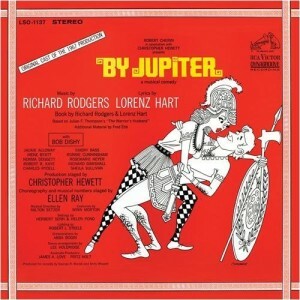 Rodgers had a respectable career as a producer and manager as well as a composer, being the power behind the original production of John Van Druten’s I Remember Mama in 1944 and Irving Berlin’s Annie Get Your Gun in 1946. He also produced South Pacific, The King and I, Me and Juliet, revivals of Oklahoma! and Carousel, and many “straight” plays as well. He served as managing director of the Music Theater at Lincoln Center in the ’60s, reviving four of his best musicals at the State Theatre. In 1970 Rodgers was inducted into the Songwriters Hall of Fame. He was one of the first Kennedy Center Honorees in 1978, and received the Barnard College Medal of Distinction in the same year. He died at his home in New York, after having survived cancer of the jaw, a heart attack, and a laryngectomy. Broadway’s 46th Street Theater was renamed the Richard Rodgers Theater in his honor in 1990. 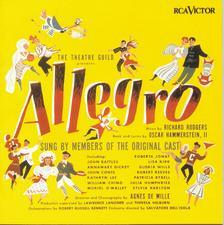 In 1999, Rodgers, Hart, and Hammerstein were all commemorated on U.S. postage stamps. Rodgers’s daughter Mary and grandson Adam Guettel are both composers as well.